Because some of your audience love watching videos, some take the time to get into detailed reviews, and others will skim through for what catches their eye. Powerful formats include images, videos, and strong headlines to pull them in. Oh, and infographs are still fabulous! ✅ You’ll discover increased audience reach with this winning and time-saving idea of recycling and redistributing your popular posts! ✅ Imagine not needing to create new content every day or having posts ready for your posting calendar. 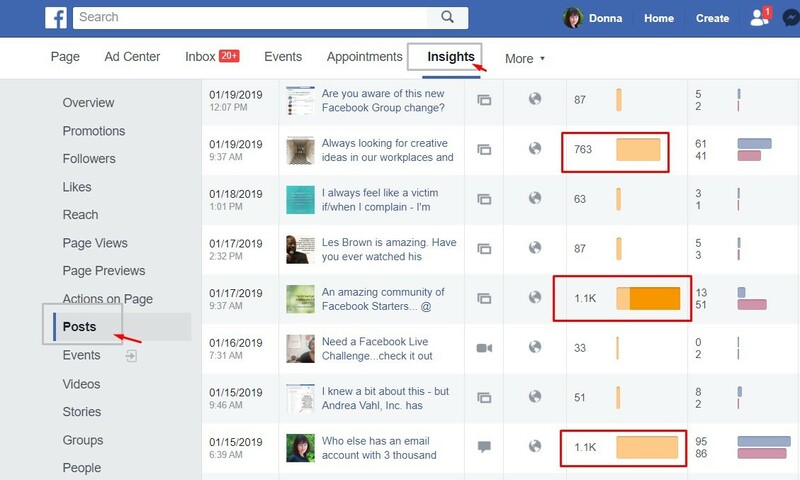 ✅ You won’t be spending time trying to discover new content that you think might work for your Facebook page, or your other platforms, to get more engagement. This then translates to Facebook giving you more reach. Because you have more engagement, algorithm meaning ⟾ more people must like what you’re offering in Facebook’s thinking..
✅ Meaning more people and their friends may see your posts because of more reach! 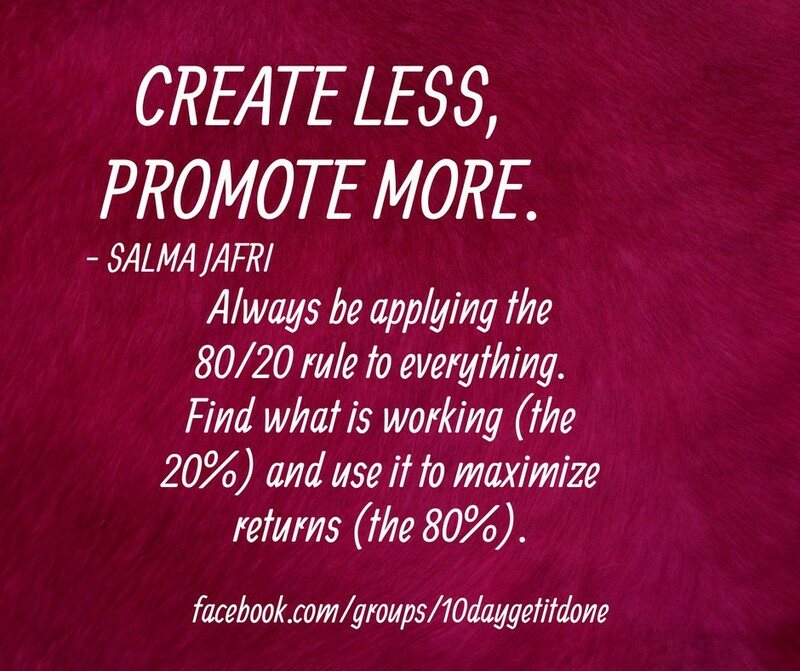 Let’s talk about saving time, stress and having more successes on your Facebook page. You can make a few changes if you want and post your higher engaged posts again and help these posts work harder for you. That’s recycling, or repurposing your content! But where do you find your popular posts on Facebook? Go to the top of your Facebook page and click more, then you’ll see the insights bar click on that. Now in the sidebar on the left, click Posts to see your Facebook posts. You see engagement and reach at the top of the posts – now go down to the ones that did the best and repost (schedule) those for a later date. Take a look at your Facebook Insights and scroll down to your posts. Now you’ll see your posts, the dates posted, and reactions. You’ll want to repurpose content used in the posts that have the highest reactions. Schedule them out a bit so that your audience doesn’t get tired of the same posts. 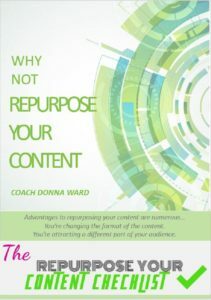 Repurpose content from your old blog posts or write a new one based on any of your popular social media posts. Write that new blog post based on the subject of the post that did so well or repurpose content of an older blog post about the subject of the Facebook post that’s doing well. Then repurpose the content of that blog post into several smaller posts for all of your social media platforms. And add a video in the blog post. Now you have the video and several pieces of your blog post that can be shared about a subject that your audience was interested in. Share on all your platforms. 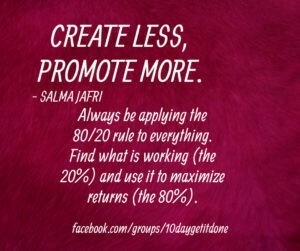 Use what you already have and work smarter, not longer. Repurposing content that your readers have already shown that they enjoyed is a great way to attract more engagement from the work you’ve already done the first time. This not only helps you grow your reach and engagement, but you’ll also find out more about what your target audience will engage with. And help you know what they really want from you. You know Social media is about growing relationships. That means taking time to plan out what you post and why. 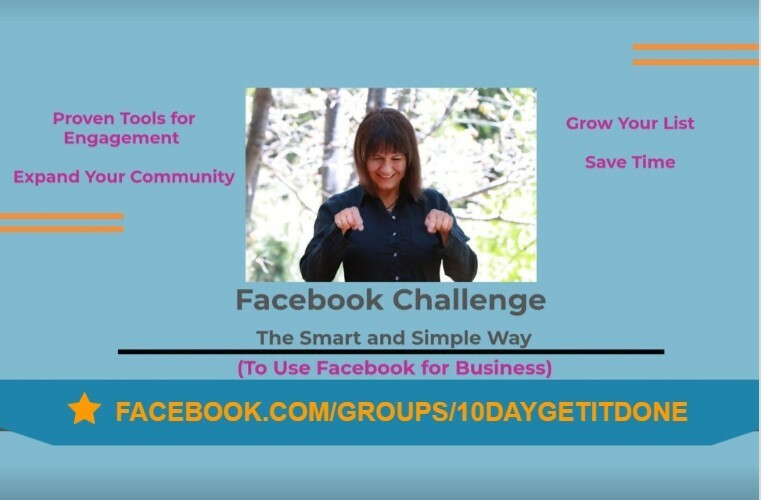 Then I posted it into my 10 Day Get-It-Done Facebook Challenge with Coach Donna Ward 🡺 CLICK HERE as you are invited to join our community! I’ll schedule my blog post on other social media sites. Breaking it apart for later posts using the video and changing it out with images. This is great fun – because you can grow your reach, your engagement, get rewarded by Facebook sharing your content more because they see that people are liking it, and you’ll save so much time. As another example, write a blog post continuing the talk of a successful Facebook post. Share the video with my email list, YouTube, Facebook, and other platforms. #5 Schedule in 2-3 hours to do this process and you’ll have a whole lot of content that you won’t have to think about and your audience will notice and engage with! Think about information products you’ve created or can. Helping to grow your email list. And, writing a blog post, video, and other posts for different platforms. Also, tie in a course or a group coaching event with a popular post. After all, people seemed to really be interested in that popular post. Put together a group based on popular posts. Offer your blog post as a PDF so readers can download, print and read offline. Helping them be able to read the entire post if they are in a hurry or just want to take it with them. I know this is a complicated routine process to get into – but you don’t have to go it alone. I’m here to help you put together your content marketing steps and automate your online marketing routines so that you are able to spend more time on building your business. their time and energy, especially when it comes to content.